process. Operating at 1MS/s, the SAR ADC itself achieves a 66dB SNDR and a 25fJ/step FoM at 0.8V. Using convex optimization methods, 4- channel 500kHz-bandwidth signals can be reconstructed with a 66dB peak SNDR and a 41% max occupancy, leading to an effective FoM per channel of 6.25 fJ/step. Wenjuan Guo received the B.S. degree from Tsinghua University, Beijing, China, in 2011 and the Ph.D. degree from The University of Texas at Austin, TX, USA, in 2016. Her Ph.D. dissertation is focused on ultra-low-power high performance SAR ADC design. During her Ph.D., she taped out three chips. 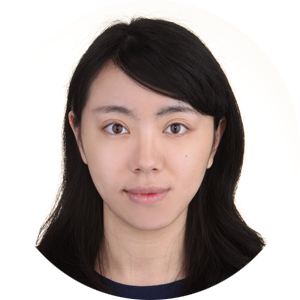 After Ph.D. graduation, she continued to work with her supervisor, Dr. Nan Sun, as a Post-Doctoral Fellow and extended her research to high-resolution time-to-digital converter (TDC) design. Within 3 months, she taped out another two chips. From June 2013 to May 2014, she was a Design Intern in the DAC team of Texas Instruments, Dallas, TX. She worked on a 16-bit R-2R DAC design. She received Texas Instrument Fellowship in 2014 and 2015. Currently she is an analog design engineer in the analog-and-mixed-signal team of Intel, Austin, TX, USA.